Courtney A. Lavender is a Client Service Administrator with Precipio Wealth Management. Courtney works to ensure the consistent delivery of top-flight administrative services to the Firm’s clients while interfacing closely with the Custodians of their investment assets. She is constantly focused on the Firm attaining highest client satisfaction ratings. Just prior to joining Precipio, Courtney was an administrative specialist with Chamberlin Edmonds in Charlotte, NC, a major healthcare company that provides services to hospitals in the South. She has had additional experience in client relations both in media communications and legal firms. 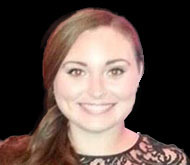 Courtney is a South Carolina native and a 2011 graduate of Winthrop University in Rock Hill. She served as Coordinator of the Theatre Festival of the Palmetto Dramatic Association, and choreographed and produced events for the Rock Hill Community Theatre. Courtney was named Best Actress by the South Carolina Theatre Association in 2008.